“I’m tired, I’m leaving.” No, these are not the words of the current president of the Russian Federation, Vladimir Vladimirovich Putin. These are the words of his predecessor, Boris Nikolaevich Yeltsin, which, for many Russians, were either the biggest surprise or the biggest gift for New Year’s Eve, 1999. Nearly ten years later, as predicted by the All-Russian Center for the Study of Public Opinion, only 2% of Russia’s population believe that his decision to leave was a mistake. Of course, for many it was unexpected that Yeltsin would hand over his powers in that moment to an almost unknown Putin. No one besides the media, which steadily increased mentions of him, expected the popularity of the newfound (from August 9, 1999) Prime Minister. Ordinary people remember the effective operations of the armed forces of Russia under his command in the Second Chechen War, and they remember his words “We will soak them in the crapper,” which were written on hearts following the September terrorist attacks. All of this, of course, was widely reported in the media, resulting in a rise of Putin’s approval rating from 31% in August, 1999 to 84% in January, 2000. It’s immediately worth saying that there are no specific media versions about possible successors to the president. All further assumptions will be based on the axiom that any reshuffling at the top does not happen without the participation of the media, which preliminarily prepares the population by putting the activities of a possible successor under the maximum spotlight and thereby legitimizing and increasing his popularity. This means that it’s possible to search among people in the media a possible successor, that “second face after the first” mentioned in the media. According an analysis of references to Russia in foreign media, the Minister of Foreign Affairs has been ranked in the top three most popular people, occupying the second place after Vladimir Putin. Of course, this can be explained by the specificity of his activity, since the head of the Ministry of Foreign Affairs has no choice but to be one of the main newsmakers abroad. However, his statistics among national media for the close half of 2015 are close to the maximum. According to a recent analyst of “Medialogia” company which is based on a number of Russian media reports from nearly 25,400 sources (TV, radio, newspapers, magazines, news agencies, and online media), the 50 most media-spotlighted Russians are rated twice a year, and Lavrov took 4th place coming after Putin, Medvedev, and Nemtsov. It’s worth noting that his rating does not take into account statistics from July, August, and early September, although during this period the activities of the Foreign Minister began to be highlighted even more actively. 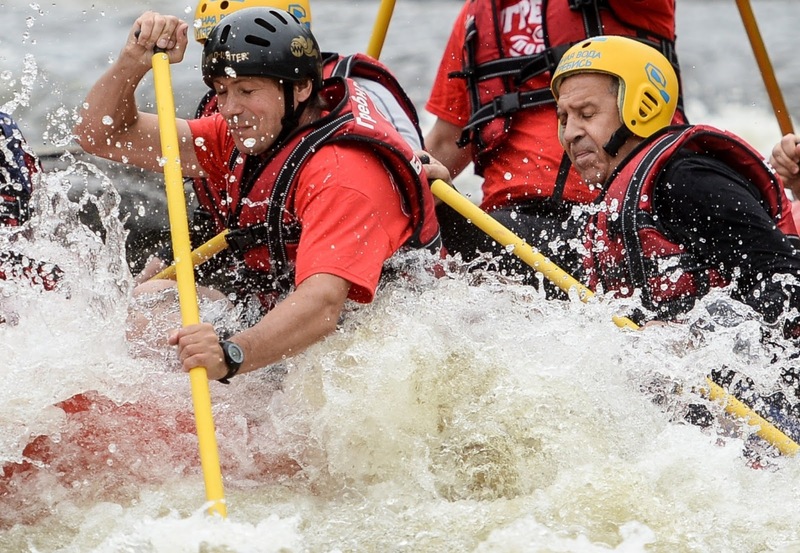 A climax was reached at the end of August when the media spread photos of Lavrov kayaking down a mountain stream in Okulovka. Here, his diplomatic and professional qualities are already not evaluated, but rather his quality as a human and his sporting skills. What else is needed to get a small increase in popularity? At the same time, as if to confirm the version in which Lavrov is the successor, a new “torpedo” of Russia in the information war appeared in the Ministry of Foreign Affairs, which, according to Finnish media, is Maria Zakharova. The new official representative of the Russian Foreign Ministry has already established herself from the best side. And not to mention her enormous potential. It can be agreed that in this scenario, the script of “Lavrov replacing Putin, and Zakharova replacing Lavrov” isn’t entirely unbelievable. Russia needs a strong leader, and when it comes to searching for one, Lavrov is the best candidate. 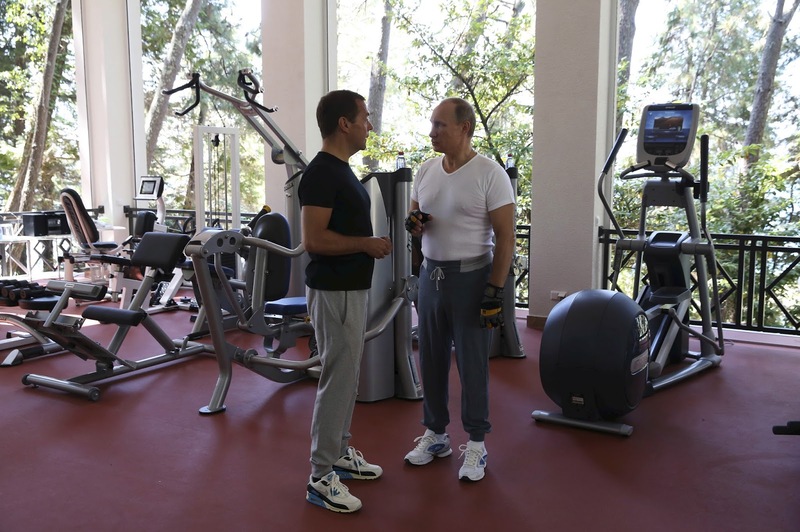 In recent days, not only the Russian, but also the global community have been wondering what the photo session with Dmitry Medvedev and Vladimir Putin the gym could mean. There are plenty of versions. The seemingly most interesting one to me is the point of view of Sergey Kolesnikov, who suggested that this could resemble a reconciliation of two competing elites: the conservative and liberal. Well, the Russian elite needs consensus now more than ever. Therefore, we don’t rule out the possibility that the media will gradually begin to prepare for the next reshuffle in the presidential post. Moreover, in the above-mentioned rating, Medvedev confidently holds second place, having experience of governing the country and being on the list of references in Western media. However, we can say against this version, roughly speaking, that Putin’s third term arrived with a kind of rollback – all initiatives of Medvedev were either bent, cancelled, or took a new form, and this speaks at least to the disagreement between the two politicians. 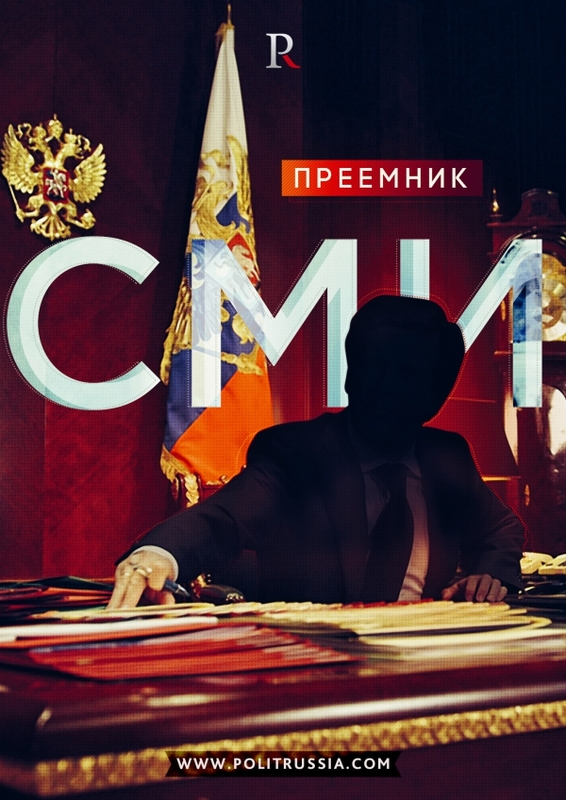 Taking into consideration the fact that we will accept Vladimir Vladimirovich’s retirement, there are doubts that he will entrust the management of the country to Dmitry Anatolyevich. There is the argument that the official who makes important economic decisions for the state ultimately becomes the personification of the state. In view of the difficult economic situation in the country, the assumption that Glazyev will take perhaps the central position in government is heard more and more often. This means the seat of the Minister of Economy, Anton Siluanov whose popularity, already in 7th place, has been significantly weakened in August 2015. This is confirmed by the fact that, being a presidential advisor on regional economic integration, he [Glazyev] is actively promoting his program of reforms for the “neutralization of anti-Russian sanctions,” which many consider to be promising. And now matter how one looks at the isolation and confrontation of Russia by the United States, such measures are supported by the Russian population. There is also the definite plus of proximity to the president and his role in the president’s entourage. This, together with the importance of the economy of the country, can be the key to the future career of Glazyev, developing virtually in the same way as the career of the current president. 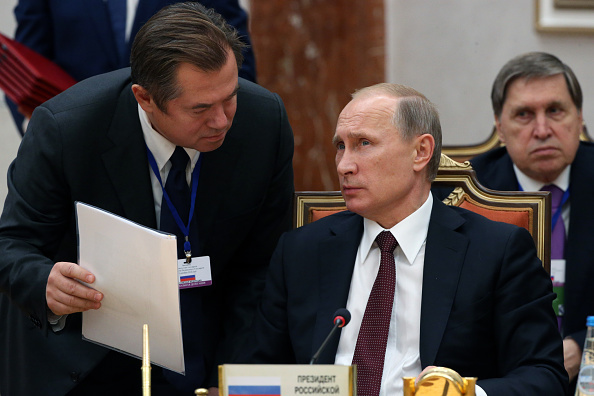 Both (Putin in actuality and Glazyev hypothetically) make important decisions in government during a difficult time for the country, and both have the capacity to address them. The only question is whether or not Glazyev will take take advantage of such opportunities. But for now, there are too many “ifs” in this scenario. Of course, these assumptions may prove to be too far from reality. Someone might say that it makes no sense to think about this two and a half years before elections and that the 80% level of support for Putin won’t be going anywhere. However, as experience shows, surprises often happen, and, for example, in France, preparation for elections and systematic work for popularizing oneself in the media and in society is usually begun 3 years early.